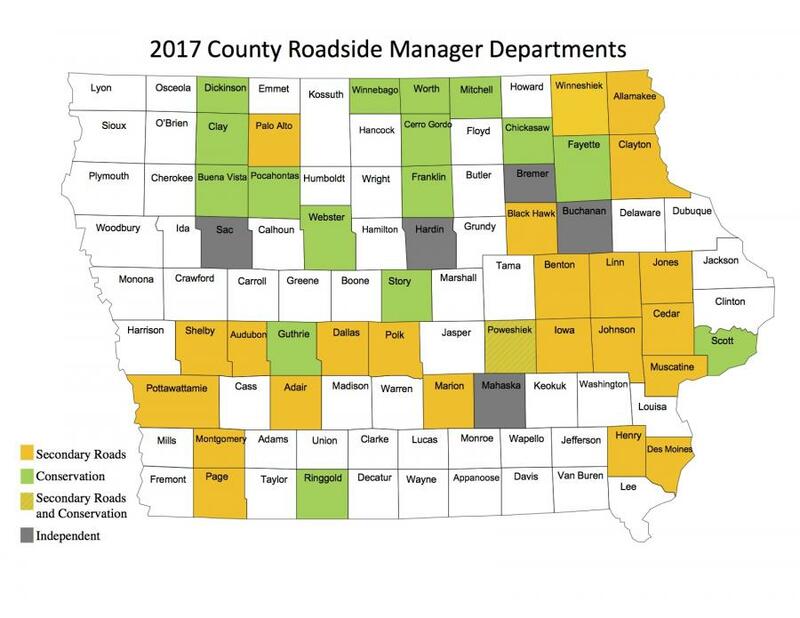 Counties choose IRVM because they want cost-effective, responsible and sustainable roadside management. 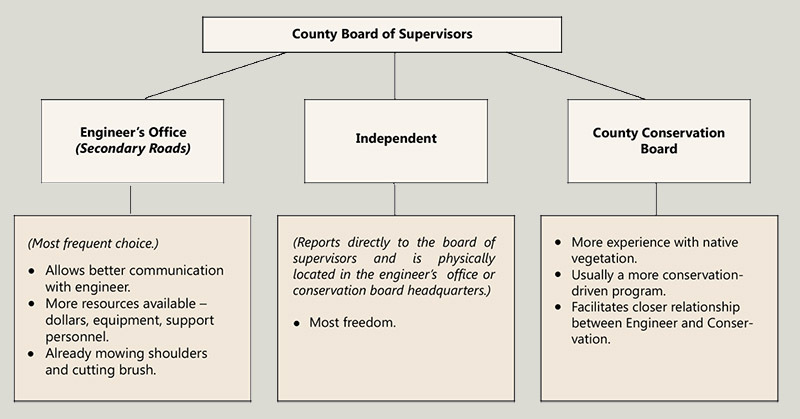 The county board of supervisors – often with input from a formal IRVM citizen committee – determines how to accomplish these goals. The best way to achieve IRVM objectives is to hire a full-time roadside manager. 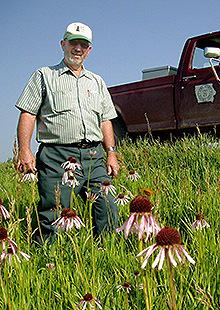 This person oversees spraying, mowing, brush control, fire management, vegetation establishment and compliance with the Iowa Weed Law and other state and county regulations. Long-term savings are expected through the establishment of permanent, competitive and well-adapted native vegetation. Immediate savings are realized through the use of county personnel with LRTF-funded, vegetation management equipment to conduct in-house operations.